Now available for takeout and delivery at our Newburyport location, OTTO serves up unique toppings like Mashed Potato, Bacon and Scallion, or Pulled Pork and Mango, or Butternut Squash, Ricotta & Cranberry. Download a menu. 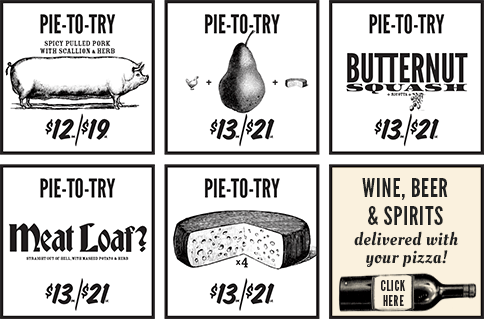 To top that off, we’ve identified some wines that pair perfectly with OTTO pies. And we’ll also deliver your Leary’s wine, beer, and spirits order right to your door along with your pizza order. Check out the items on our wine, beer, and spirits delivery menu. To qualify for this service, please drop by our Newburyport store and sign up! Order these wines with your pizza order! Click here for details.